Rates are based per unit up to maximum occupancy. All canceled reservations received 8 or more days prior to arrival are subject to a 20% cancellation penalty. To experience the wild heart of the Rajasthan’s forests with services beyond compare, visit Utsav Camp. Our rustic yet divine Safari Lodge, in Alwar, exudes the romance and beauty of a bygone age whilst offering every modern-day comfort and convenience. This is a unique, personalised adventure that offers you a detailed insight into the complex and fascinating ecosystem of the Northern Indian subcontinent. There are 10 beautifully handcrafted eco-friendly tents which deliver accommodation in utmost luxury and style. 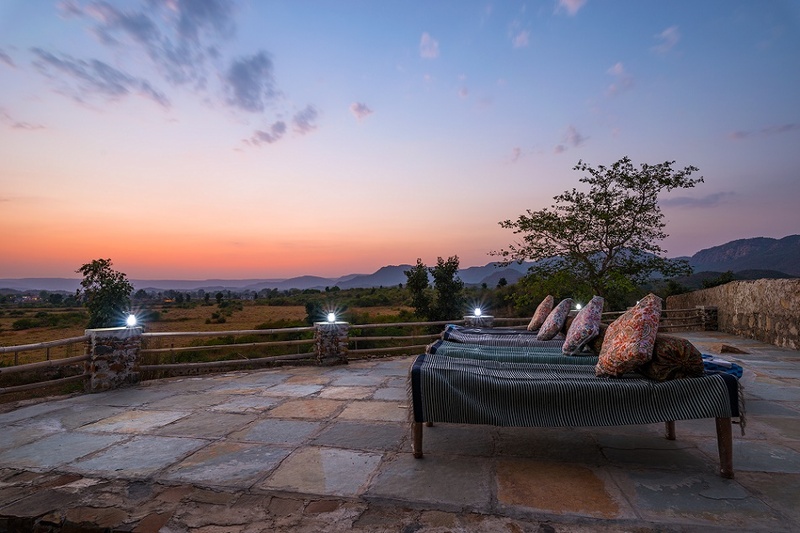 These ten jewels sit with aplomb over a 30 x 30 stone, elevated platform, offering a breathtaking view of the cinematic and majestic Arravalli Hills—the world’s oldest ranges, for those who don't know. Each room is well equipped with all the modern facilities one would expect. Yet at the same time, Utsav Camp definitely lives up to the rugged rustic charm we intend to offer. A perfect weekend getaway for those who value privacy, personalised service and, of course, NATURE.